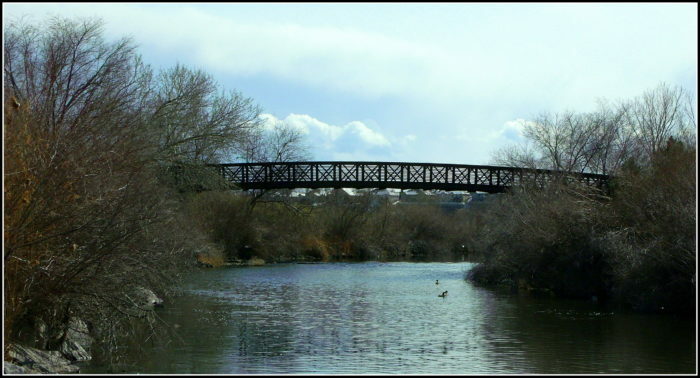 Located in the western part of Salt Lake City, the Jordan River Parkway is a paved trail great for long distance running. This 8.1 mile route follows the beautiful Jordan River, giving runners a nice cool breeze and scenic views. Tucked away from chaotic traffic, the Jordan River Parkway trail runs through pavilions, several small parks, lots of trees, and wetlands. The northern terminus of the path by the residential Rose Park, and moves along to pass Riverside Park, Cottonwood Park, Constitution Park, and Jordan Park. Jordan Parks has the International Peace Gardens, which is worth a stop. Riverside Park and Jordan Park both provide public restrooms and drinking fountains. Cottonwood Park provides public restrooms. The south end of the park is at the Glendale Park golf course. There’s also a water park in this area. Also important to note is that the Jordan River Parkway trail is maintained during the winter months as well! North end: Rose Park. South End: Glendale Park Golf Course at 2100 S.